John Mellencamp Community > MELLENCAMP.COM ANNOUNCEMENTS > Announcements & Updates > John Mellencamp To Embark On 2019 Tour - "The John Mellencamp Show"
Public tickets will go on sale Friday, September 21st at 10 AM local time for The John Mellencamp Show - Be The First To Come and The Last To Leave! Except the Feb. 25th & 26th, Beacon Theatre Shows. Public tickets will go on sale Friday, September 28th at 11 AM local time. 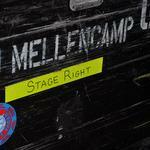 Watch Mellencamp.com's TOUR page closely for updates. We will once again be offering pre-sale ticket access for free members of Mellencamp.com. Learn how to join and use our pre-sales HERE. Pre-sales begin on Wednesday, September 19th at 10 AM local time and last through Thursday, September 20th at 10 PM. Except the Feb. 25th & 26th Beacon Theatre shows. The pre sale will begin on Wednesday, September 26th at 10 AM local time and last through Thursday, September 27th at 10 PM. Ticket limit will be 6 tickets per website member per show. The general public ticket on-sales are scheduled for Friday, September 21st at 10 AM local venue time and Friday, September 28th at 11 AM local venue time Purchase links will be available on Mellencamp.com's TOUR page. VIP Tour Ticket Packages Available For The John Mellencamp Show! We are offering VIP Ticket Packages on The John Mellencamp Show - Be The First To Come and Last To Leave Tour. Packages will go on sale via a pre-sale for Mellencamp.com members before going on sale to the general public. The package pre-sale will be at the same time as the Mellencamp.com general tickets pre-sale through the TOUR page. Limit of 6 per order. Quantities are very limited so act quickly! The exhibition John Mellencamp: Expressionist, will be on view at The Butler from September 20 through November 18, 2018. Admission to the exhibition and to the museum are free. John Mellencamp: Expressionist features at least 42 large-scale oil portraits and mixed-media pieces that successfully emit the same aura of anti-establishment as his music, and bravely deal with wide ranging issues of the working class and bittersweet truths of the human condition. Butler Director, Dr. Louis A. Zona terms Mellencamp’s art as Neo Expressionistic, “since his paintings are a return to the emotionally based applications brought forth by German Expressionism, Fauvism and Abstract Expressionism.” He further describes Mellencamp’s paintings as “rich in spellbinding imagery, enriched by his (Mellencamp’s) understanding of visual organization and the power of color.” Zona airs a perceptible respect for Mellencamp as an Expressionist painter and continues to be impressed by contributions he is making as a visual artist. John Mellencamp: Expressionist will be accompanied by a full color catalogue to include entries by Butler Director Lou Zona, an essay by award-winning cultural writer and critic, David Shirey, and an interview by Bob Morrison, author, curator and contributor to The New York Times. Catalogues can be purchased through the Butler Museum Stores starting September 20, 2018. Read the complete press release on Mellencamp.com. Re: John Mellencamp To Embark On 2019 Tour - "The John Mellencamp Show"
YAY! Something to look forward to in the middle of busy season. Hip Hip Hooray!!!! Does anyone know what the additional add-on for $25 per person was for the KC show? We were super rushed tyring to buy the tix and it looked like an opportunity to have a drink before / after / during the show so we opted in but ? ?